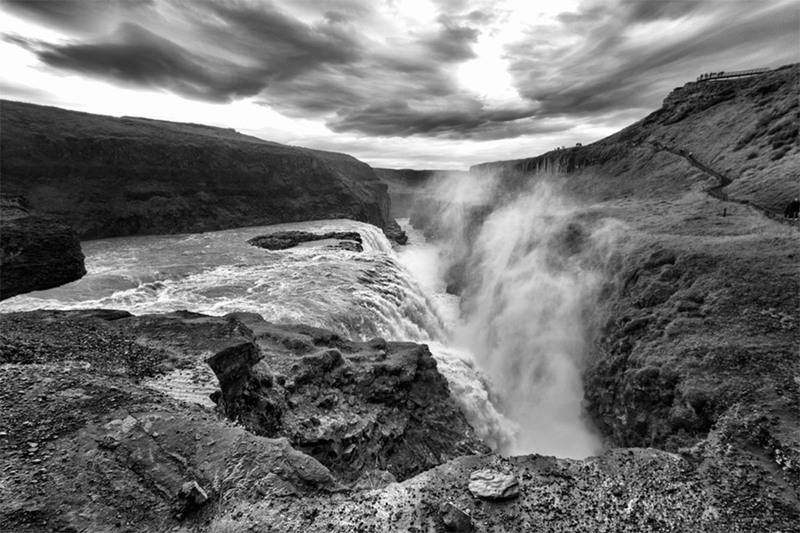 With so much fog and rain, black and white Iceland photos are best indicative of our time there. But it was still beautiful. Iceland is slowly being stretched apart. Every year, two or three more centimeters of the island are exposed. The results are fascinating! Join us for an adventure snorkeling the Silfra Fissure. We weren’t expecting much from a glacier walk in Iceland. That was until we grabbed the crampons and pick axe. The challenge gave us a newfound respect for the formidable nature of ice!